← Happy Three Kings Day! 1. Karl Sigmund, “Exact Thinking in Demented Times: The Vienna Circle and the Epic Quest for the Foundations of Science“, Basic Books (2017), available here from Amazon. In addition, here is a good review by Tyler Cowen, who alerted us to the existence of this beautiful book. 3. 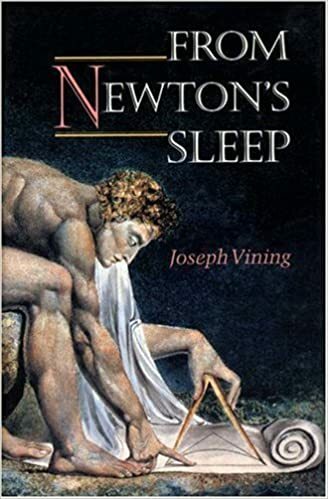 Joseph Vining, “From Newton’s Sleep“, Princeton University Press (1995) (pictured below). We’ve just started reading this strangely titled tome, so we’ll have more to say about it in a future blog post.